Not many years ago, I had barely even heard about endometriosis, until I embraced the world of pelvic floor physiotherapy / women’s health physical therapy. And as fate would have it, discovered that a lot of my own pain actually linked back to endometriosis. 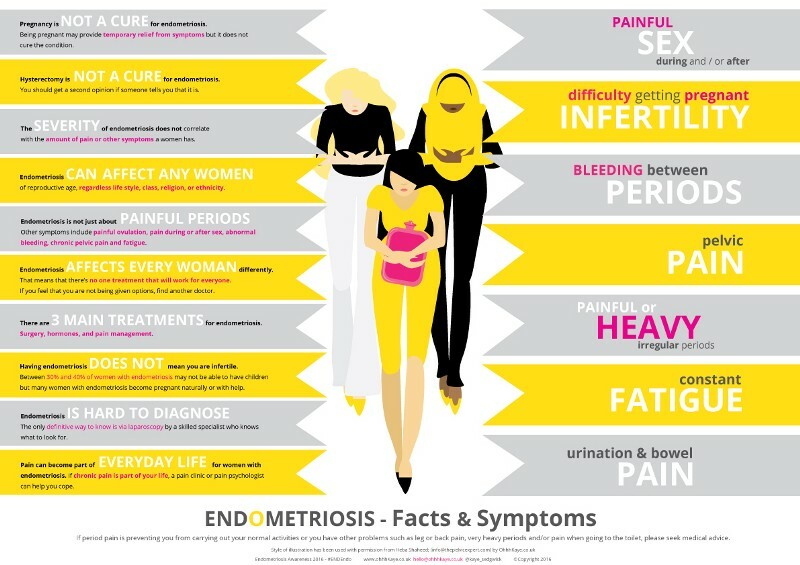 Endometriosis affects 1 in 10 women and 176 million women worldwide suffer from it. The saddest thing of all is that there is the worst delay in diagnosis (ever!) for a condition whose symptoms start with period pain. Hopefully by now you are aware that suffering from period pain is NOT normal. It is common for sure but, I repeat, period pain is NOT normal. The diagnosis is delayed for an average of 7–10 years, and for me the diagnosis came 11(!!) years later, despite suffering from horrendous painful and heavy periods since the age of 13. For me, it felt like knives were stabbing me in my uterus over and over, and this would go on for 10 days at least, usually accompanied with debilitating migraines, back, leg, abdominal and pelvic pain. I sometimes wonder if I had never become a pelvic physiotherapist, would I ever have been diagnosed, or would I have continued to suffer. What started with period pain ended up becoming all out chronic pelvic pain, bladder pain & urgency, IBS, bowel pain, migraines and culminated in a diagnosis of pudendal neuralgia, along with irritation of many other nerves including the sciatic nerve. Sometimes when I look back on my life, I wonder how I lived with so much pain on a regular basis. I studied under some of the world’s leading experts in women’s health and musculoskeletal / orthopedic physiotherapy (physical therapy). And this was by far the most helpful treatment for the chronic pain. I still see my physiotherapists regularly for self-care and exercises to strengthen my body weakened from the pain. Yes I have 2 physios — one women’s health and one who is trained in Diane Lee & LJ Lee’s Integrated Systems Model. A physiotherapist who is trained in pain neurophysiology is crucial — luckily for me when I started working in private practice I was trained in David Butler and Lorimer Mosely’s Explain Pain seminars so that really changed my perspective on pain. But even with all this physiotherapy, I knew I needed more. I just couldn’t seem to get the IBS and bowel symptoms to settle completely. I felt like I was intolerant to practically every food under the sun (and moon). For me the answers weren’t with dieticians sadly, and I honestly believe an integrative and holistic approach is needed for women with persistent symptoms. So I decided to go ahead and study nutrition, which I did over 2 years intensively with Jessica Drummond of the Integrative Women’s Health Institute and with Andrea Nakayama of Holistic Nutrition Lab. And this is what really changed my life. It’s true what they say about “food is thy medicine”. These days, I have a fabulous management strategy in place, where I eat nutritious wholefoods, see my physiotherapists, and exercise regularly. 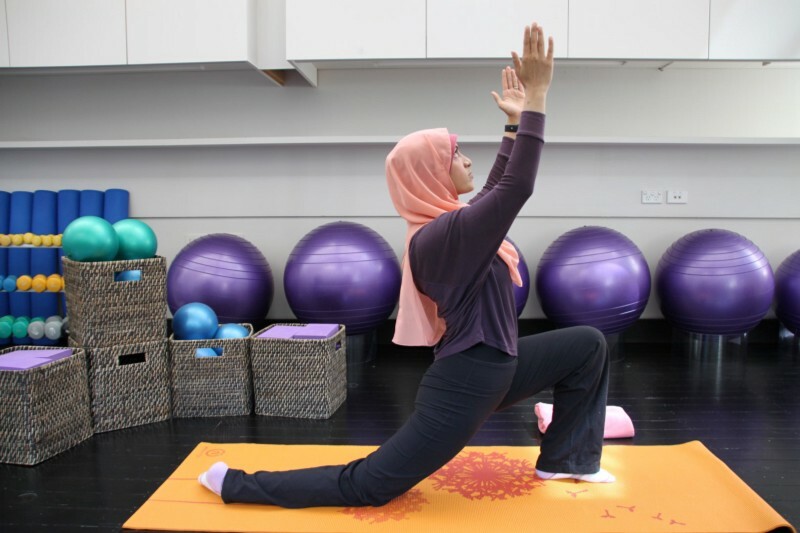 I particularly enjoy yoga because it helps with relaxation and allowing my nerves to slide and glide well and lengthens and strengthens my muscles. I practice as a pelvic physiotherapist in Sydney Australia, where I look after women who have complex cases similar to mine, but I can only manage 2 days before my body fatigues. But this works for me because the rest of the time I spend raising awareness, and teaching workshops in women’s health and particularly sexual health. Learning and experiencing all that I have, I felt I should share my journey with you, so you could understand why I decided to create TENDO — my little bit of awareness for endometriosis. TENDO is a 10 day online summit where I have interviewed experts from all over the world about the different therapies that can help women with endometriosis overcome pain and infertility. I have interviewed gynecologists, physiotherapists / physical therapists, nutritionists / dietitians, mind-body therapists / psychologists, yoga therapists, and endometriosis advocates from all over. Each will share how women with endometriosis can overcome their pain and infertility. For just $10, get lifetime access to the TENDO Online Summit – a collection of 20+ videos on the effective therapies for the management of endometriosis. Learn from gynaecologists, fertility specialists, physiotherapists, nutritionists, yoga therapists, psychologists and global endo-advocates. Click here for access.